Installation of the mass comparators requires sufficiently large weighing tables. A weighing table should be used exclusively as working place for one mass comparator. Weighing tables of stone, whose surfaces are polished, have proved their worth in mass laboratories. Due to their dead weight, they reach a high stability, and the polished surfaces allow optimal cleaning. The accuracy and reliability of weighing results is closely connected with the place where mass comparators are installed. The place of installation for mass comparators should be designed in such a way that the effect of ground vibrations and vibrations being a result of user’s activity while operating mass comparator is minimal. 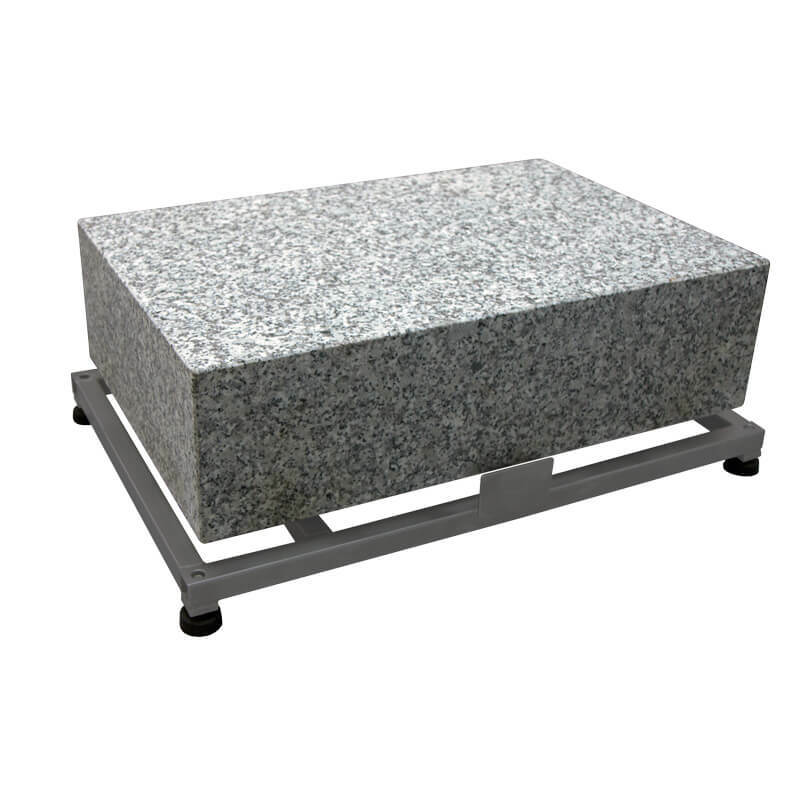 The table design consist of stable SS 304 steel frame, equipped with adjustable leveling feet and heavy 150mm thick polished granite top for mass comparators.